An expert on clinical toxicology and pharmacology, poison control, product post-market surveillance, and drug and dietary supplement safety, Rick Kingston, PharmD., shares with pharmacists and nurse practitioners what they need to know about adverse event reporting systems and the important role they play in supporting consumer safety. Does consumer self-reporting muddy the picture? What role does under-reporting play? Is there a cause and effect between adverse events and products? Just how safe are dietary supplements? 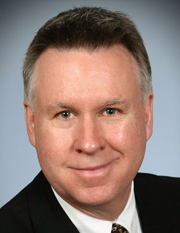 Rick Kingston, PharmD., is President, Regulatory and Scientific Affairs and co-founder of SafetyCall International. Dr. Kingston brings 30 years professional experience to SafetyCall International in the areas of clinical toxicology and pharmacology, poison control, product post-market surveillance, and drug and dietary supplement safety. He has helped shape national policy on a variety of critical issues related to product safety, including rules and regulations, and law interpretation by several bodies including FDA. In the area of dietary supplement clinical pharmacology and toxicology he serves as course director for the University of Minnesota's “Therapeutics of Herbs and Other Natural Medicinals” and is also a member of the university’s “Center for Plants and Human Health." More on the SafetyCall website.